There are so many reasons to love Vermont; the rolling green hills, the fresh mountain air and of course BREAKFAST! Vermont does breakfast better than any other state. They have forests of maple trees dripping with syrup, farms dedicated to the best slab bacon, cheese makers in every corner and of course Green Mountain Coffee. It's hard to go wrong with breakfast anywhere in Vermont but the place that I currently love the most is Green Goddess Cafe in Stowe. This tiny little spot uses only fresh, local ingredients (most organic) to create breakfast staples that are almost magical. Like their bacon, egg & cheese sandwich, loaded with creamy Vermont cheddar cheese, thick slab bacon that somehow stays perfectly crisp in every spot, all on top of a flaky, buttery English Muffin. A NYC Bacon, Egg & Cheese isn't even in the same category with this perfect sandwich. 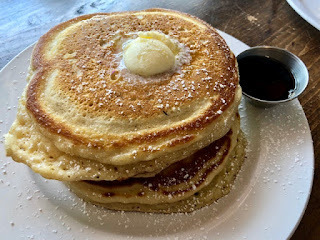 Buttermilk Pancakes so wondrously fluffy inside with crispy charred edges and the perfect dollop of whipped butter on top. I usually eat pancakes simply as a vessel for maple syrup but these were so delicious the syrup was almost secondary. Of course I still used the syrup, it is Vermont's finest after all, and topped everything off with another Vermont classic a frothy Maple Latte. 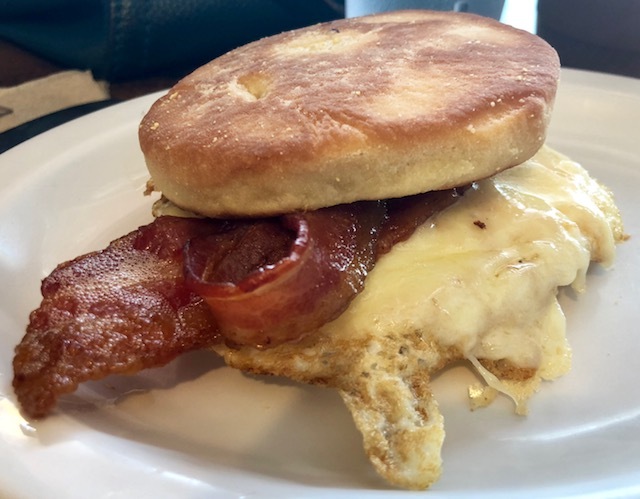 This simple little cafe is a place I dream about, so if you get lucky enough to be in Stowe stop in and experience everything wonderful about a great Vermont breakfast. I just love trekking around this fabulous city finding everything from the best prix fixe lunches in Midtown to hidden dessert spots in Chinatown. Food this good needs to be shared!